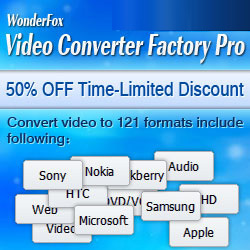 WonderFox Soft, a leading developer of Windows multimedia applications who always make every effort to lead a secure digital life for users, recently announces that full series products have attached the code signing certificate, such as WonderFox DVD video converter, WonderFox DVD ripper, etc. to extend full protection. Smart Screen of Windows 8 is designed for checking the file system and preventing unknown file downloads. Thus, without a certificate identifying an entity, the software publisher could not be verified. Such a certificate calls code signing certificate. 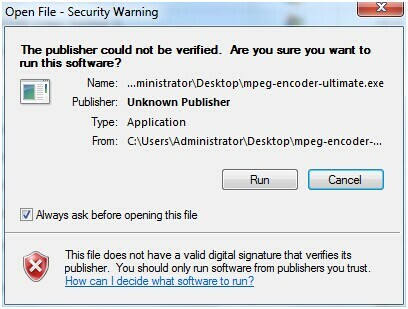 To obtain a code signing certificate, a software publisher must meet the criteria for either a commercial or an individual publishing certificate and submit these credentials to either a certification authority. 1. Averting the false alarms come from antivirus at utmost, like Norton, Sonar. We all know that the key feature of antivirus is to help users avoid the possible security problems, to prevent the invasion of virus. If a software is not signed, the system may automatically recognize it as insecurity. 2. When you are to install a program while a window including below contents pops up (as figure 1), it means the file to be opened hasn’t gotten the code signing certificate. 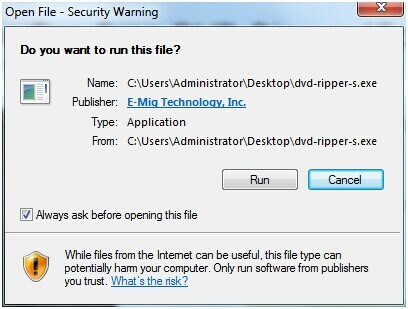 For the signed software, a prompt box will appear as shown in figure 2(or not), you would enable to run the software without any risk. 3. Unsigned software may face "recommended deletion “by mainstream browsers after download. In short, concerned risks and unnecessary troubles may be wiped out by a digital signature. Generally unsigned softwares are just the products of individual small workshops, while the products with signatures are released by formal software operations. 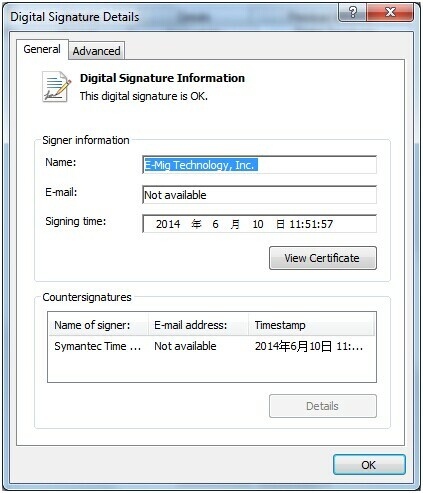 As a trustworthy company, for users’ convenience, WonderFox Soft’s update about code signing certificate in the right time is encouraging, which are Whawte Code Signing and Symantec Time Stamping (G4). Currently varied pirated softwares make an incursion into the software market, and it is difficult to distinguish between original softwares and piracy softwares. For your optimal choice, you will feel at ease by picking WonderFox products with code signing certificate.